They are often referred to as man’s best friend and considered to be extremely loyal to their owners. And now it appears there is no excuse for dogs to be left behind when their owners head for the pub in one part of the north east. That’s because The Brandling Villa in South Gosforth, Newcastle, has come up with a pet-friendly menu. The pub is now selling a special beer designed for dogs so that drinkers’ four-legged friends can also enjoy a tipple at the same time. It is also serving a Sunday roast covered in cat-flavoured gravy. The pub aims to remain traditional but with a modern twist, which includes welcoming dog owners with their pets to enjoy the atmosphere. 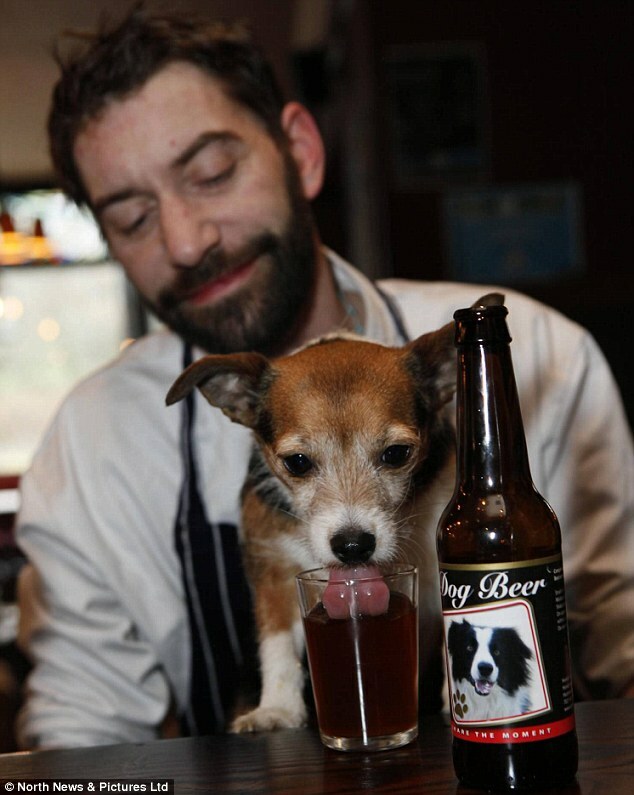 But rather than just offering water, the pub decided dogs should join the craft beer revolution too and has started to sell the non-alcoholic beverage for pets. It is made with beer ingredients of malt and hops, but also includes meat extract. Dogs seem to have a thirst for the drink as the Brandling Villa has had to reorder fresh stock after the first 48 bottles ran out in a fortnight.